I've constructed examples of my three favorite tripwire traps, and I'll show you how to make them. Each one is really simple, and takes advantage of a different feature of the tripwire. They're a hard thing to fully explain in text, so I suggest that you watch this video, as the article will frequently be referring back to it. Now I'll go through the above traps one at a time, in the order in which they appear in the video. 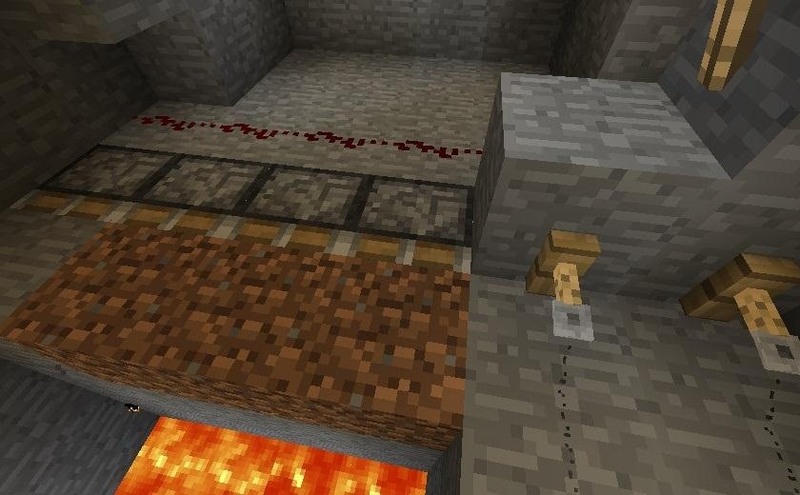 This trap could also work with pressure plates, but the reason why it works best with tripwires is that tripwires easily provide power to both sides of the tunnel at the same time. The tripwire in many ways acts like redstone wire, saving you time and space. 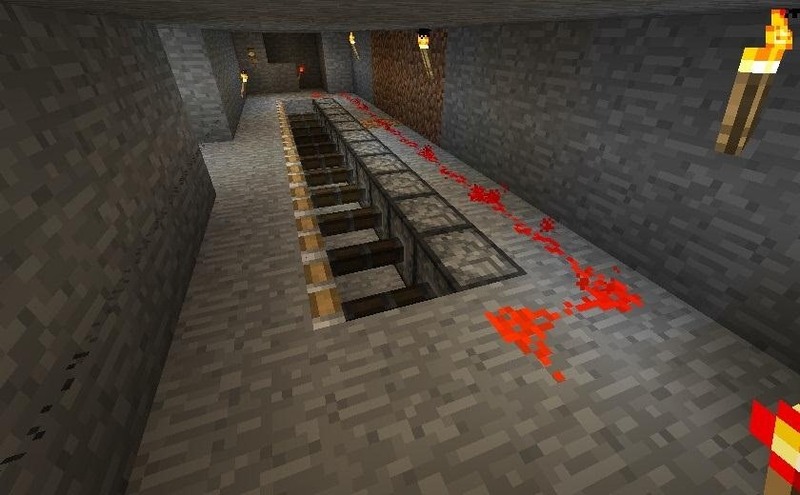 This trap is really easy to build, and basically just requires a few sticky pistons facing downward. 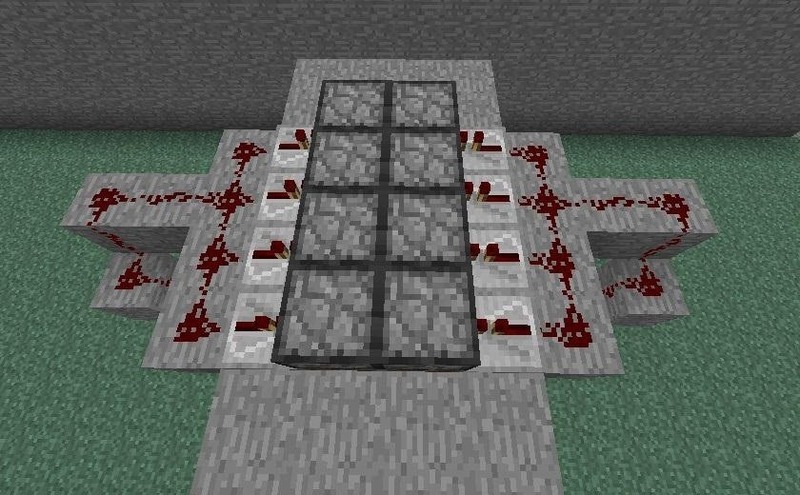 I used 8 pistons in order to account for server lag. You don't want the server to lag and then your would-be victim to escape scot-free. The tripwires (I used two of them, again to account for server lag) are in the middle, with one extra set of pistons on each end. I didn't know what else to call this one, but it's kind of tricky. It takes advantage of how long tripwires are, and hides the hooks by placing them out of the line of sight of the victim. By the time they become visible, it's too late. Another thing this trap uses that I like is the lengthwise capability of tripwires. You can use them perpendicularly to your trap area like in the suffocation trap above, but I far prefer to use them in parallel, like in this trap. This is the trap with its guts exposed. This trap is so easy to build. It's basically just a bunch of sticky pistons that are constantly on, until the tripwire turns them off. The easiest way to do that is like this. Note the torch that inverts the signal from the tripwire hook. Here's a shot of the whole thing, so you can see how simple it is. 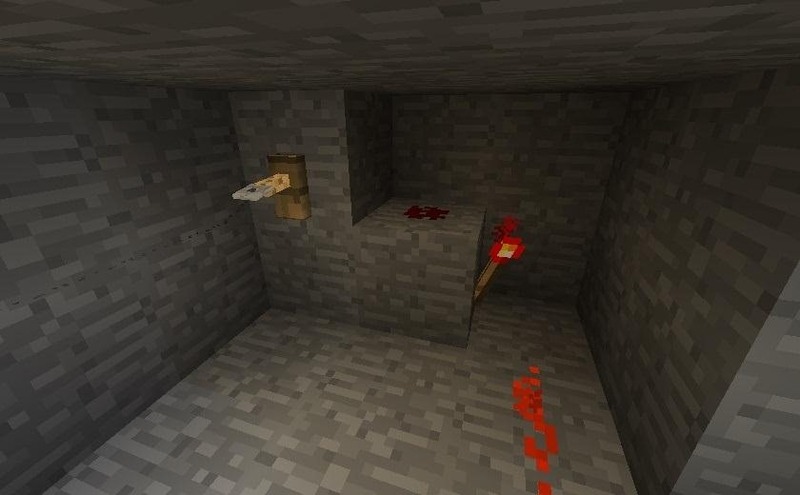 Remember that the tripwire needs to be one block up in the air, or else the wires will break the first time you use it, when the pistons move. This one also makes use of the parallel tripwire usage that I mentioned above, but with a twist. Rather than counting on someone not seeing the tripwire and falling into the trap, this one counts on them seeing it. The hooks are pretty visible, and it's not meant to be hidden. Instead, triggering the tripwire arms the trap, and then stepping off of the tripwire is what triggers it. This only works if they can't see the end of the hallway when they step on the tripwire. I love this one, personally, and it's even easier than the tricky trap above. Since the trap is armed when the tripwire is stepped on, you don't need any inverters, or anything. Just a direct line of power to the pistons at the end. In the picture below, you can see the power line running directly to the pistons. This is the other side, which I've sunk down a level in order to hide from the wall. 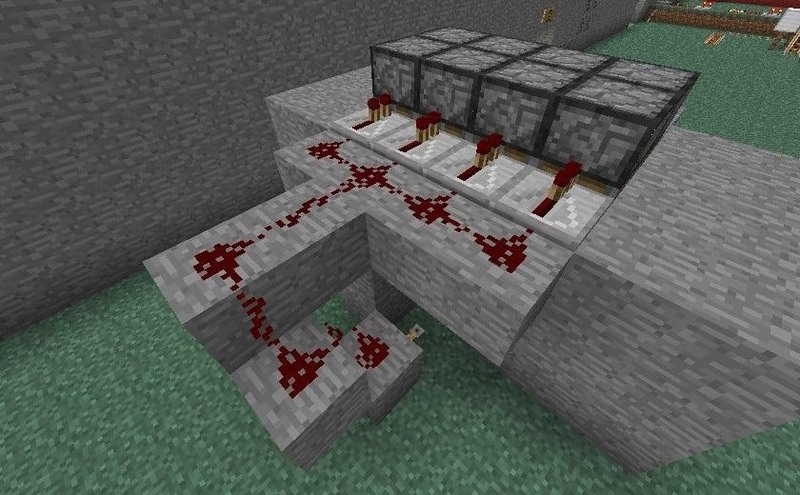 I added repeaters just to make sure that all the pistons were powered. Now you know how to make my three favorite tripwire traps! If you have any other great tripwire traps, please share them with our community! 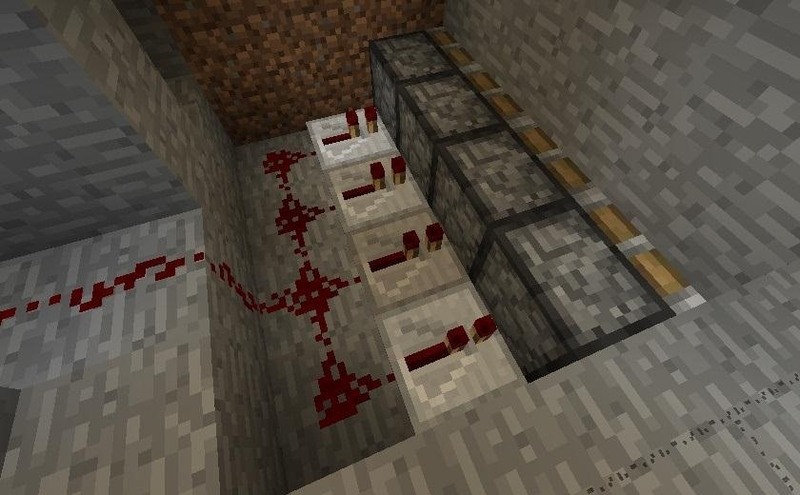 those are very creative traps i wish I was that good at redstone! I also like your flytrap! I love the "False Sense of Security Trap". 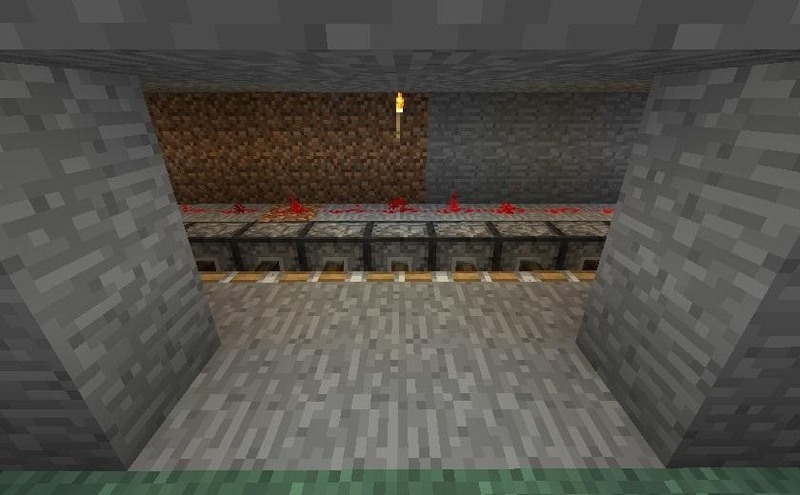 I also noticed something interesting, you build a trap like that but use pressure plates you can sneak to avoid falling into the trap but this won't work if there are trip-wires.